Location. 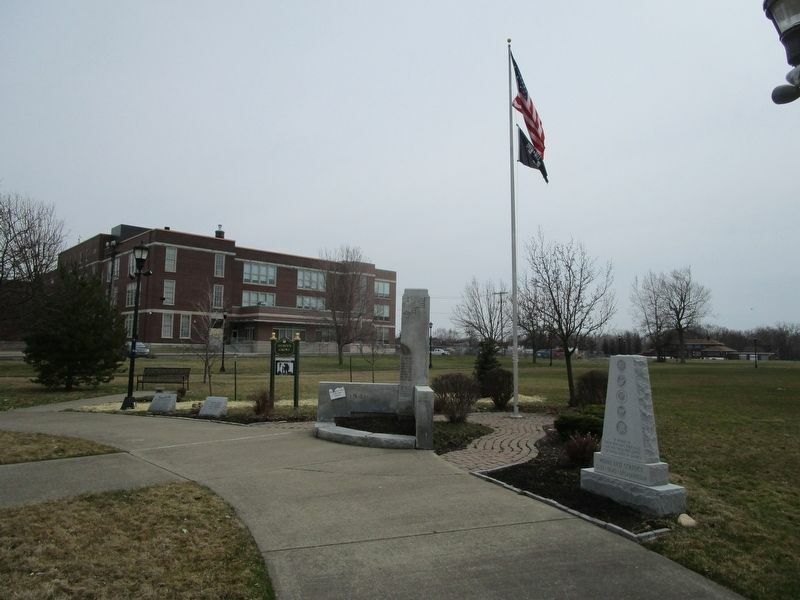 42° 52.304′ N, 78° 48.843′ W. Marker is in Buffalo, New York, in Erie County. Marker is at the intersection of Clinton Street (New York State Route 354) and Glenn Street, on the right when traveling east on Clinton Street. Touch for map. 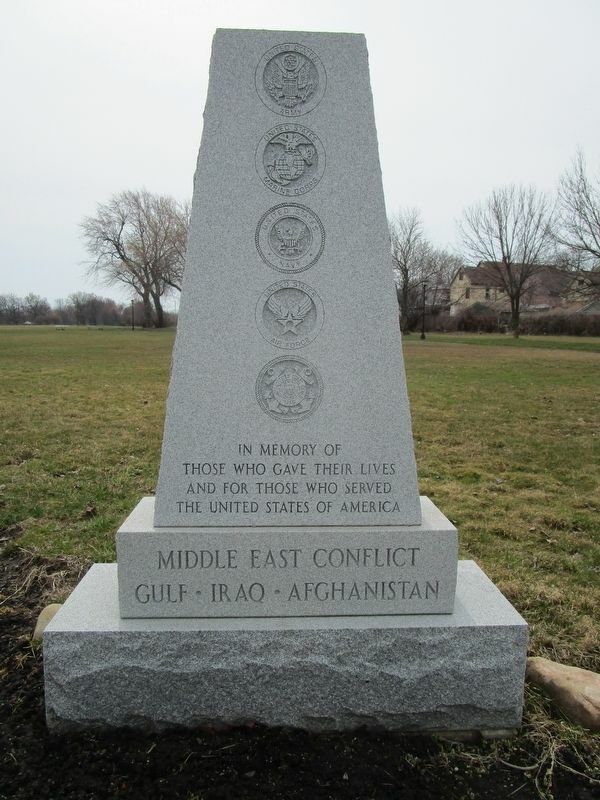 Memorial is in Houghton Park, aka Stachowski-Houghton Park. Marker is at or near this postal address: 1675 Clinton Street, Buffalo NY 14206, United States of America. Touch for directions. Other nearby markers. At least 8 other markers are within 2 miles of this marker, measured as the crow flies. To Honor the Men and Women (here, next to this marker); Korea (a few steps from this marker); Kaisertown's Fallen Heroes (a few steps from this marker); The Buffalo Stockyards (approx. 1.1 miles away); Henry Wolanski (approx. 1.6 miles away); Buffalo Municipal Baseball Association (approx. 1.6 miles away); St. Stanislaus Church (approx. 1.8 miles away); First Polish Colony (approx. 1.8 miles away). Touch for a list and map of all markers in Buffalo. More. Search the internet for Middle East Conflict. Credits. This page was last revised on April 8, 2019. This page originally submitted on April 8, 2019, by Anton Schwarzmueller of Wilson, New York. This page has been viewed 37 times since then. Photos: 1, 2. submitted on April 8, 2019, by Anton Schwarzmueller of Wilson, New York.